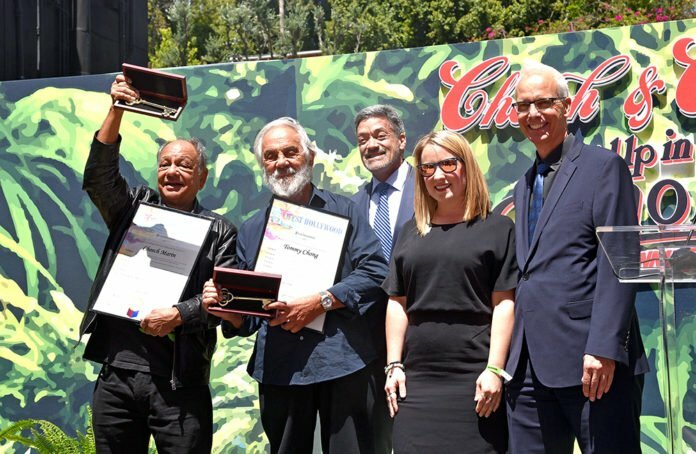 West Hollywood Mayor John Heilman, Mayor Pro-Tempore John Duran and council member Lindsey Horvath took a moment to honor East LA native Richard “Cheech” Moran and Canadian born Tommy Chong of the comedy duo Cheech and Chong. The city presented the comedy duo with a key to the city of West Hollywood at the famous Roxy on Sunset Boulevard. And they even got their very own day. 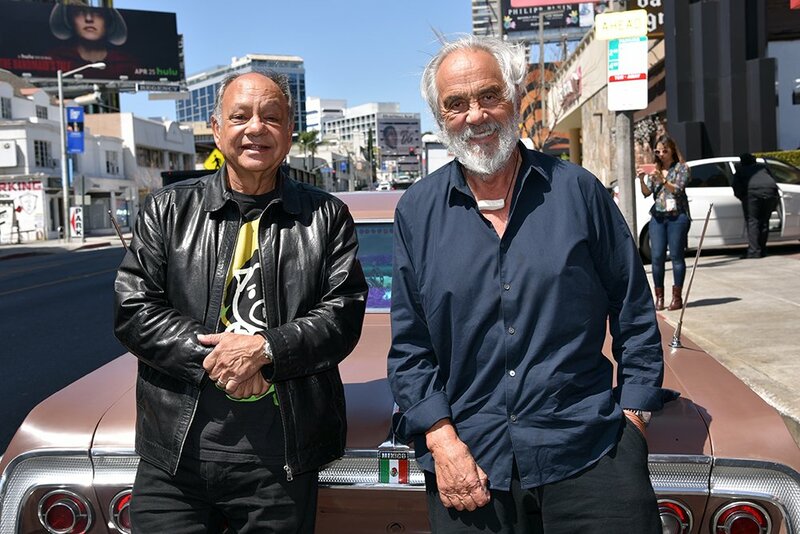 The presentation hosted by Paramount, recognized the two for their contribution to comedy and American culture on the 40th Anniversary of their first motion picture, Up in Smoke. 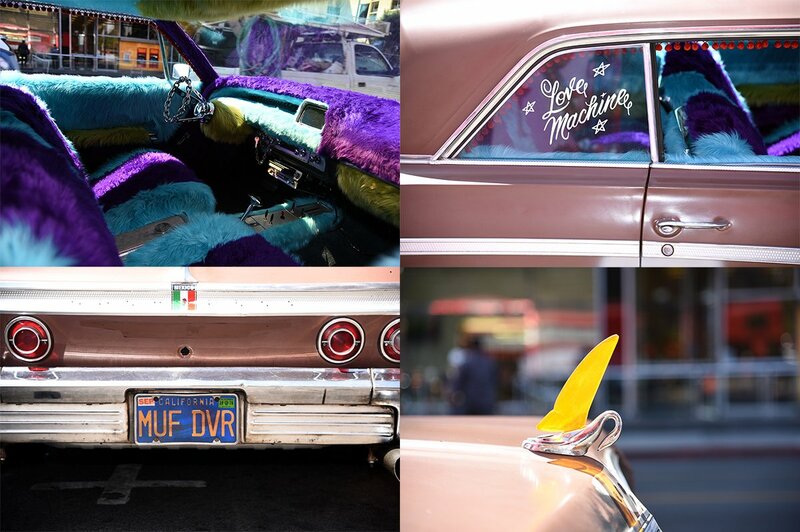 The two funny men drove down the Sunset Strip in the infamous “MUF DVR” Love Machine 1964 Chevrolet Impala Super Sport that Cheech drove in the movie. They parked in front of The Roxy where a green carpet awaited them. “I’ve never been here before,” Chong joked. 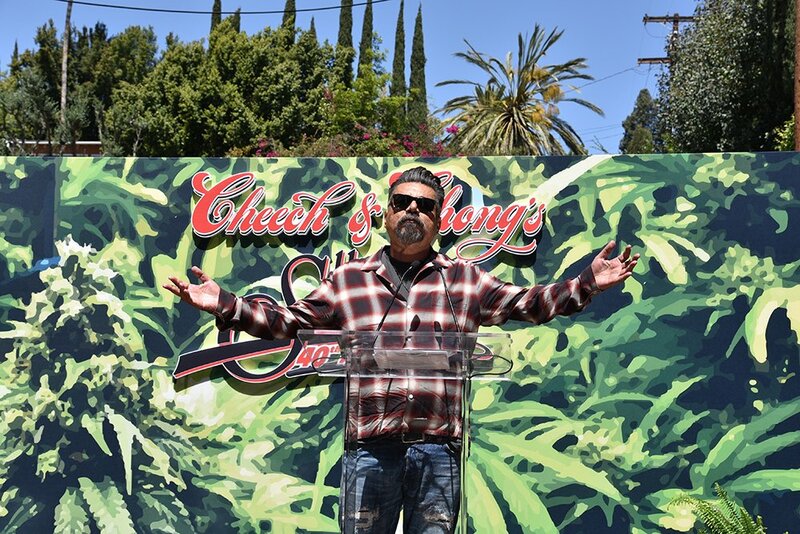 The stage was set up with smoke machines for effect at an event was full of laughs after comedy legend George Lopez took the stage as the event’s host. They were also joined by Lou Adler, who produced Up in Smoke. Adler is a Grammy Award-winning American record producer, music executive, talent manager, songwriter, film director, and co-owner of the Roxy. 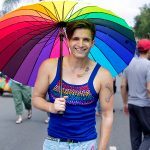 “Cheech told me that he didn’t know it was ever illegal,” He added jokingly.